I feel as if I have said this before – my sense of smell is my super power. It helps me travel through time and space. Like the aroma of tawa warm chappati and I am home in India in the blink of an eye. The sour smell of golgappa chaat takes me to the bustling streets of Delhi. And the decadent smell of Indian desserts especially burfi and I’m in the middle of festive celebrations in India. 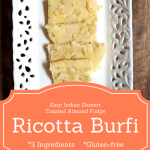 Burfi is an Indian sweet that is made in as many ways as there are people. With nuts or without, with brown sugar or molasses, even with chocolate. 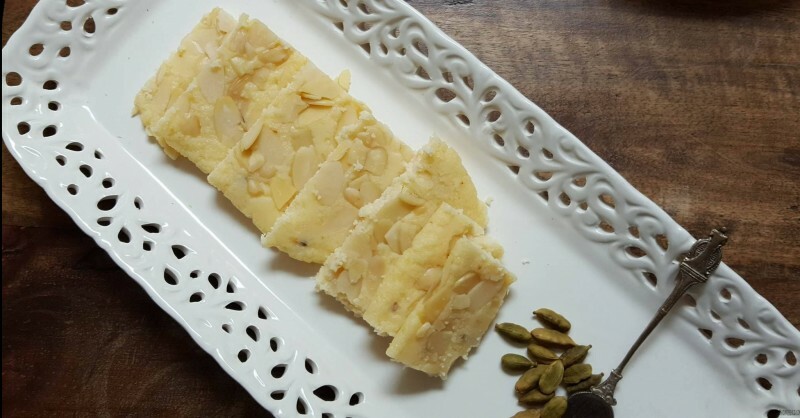 Growing up my brother loved Kalakand especially the kind my mom made at home – simple with fresh home-made paneer and a topping of pistachios. Since moving away from India I am constantly on the lookout for delicious burfi. And as my hubby will tell you I have exactingly high standards. Over the years as the distance from India increased so did my yearning for traditional Indian food. Since having kids I want them to experience the luxurious decadence of homemade Indian sweets. At the same time as you will know from this, I am not one to stand for hours in the kitchen making traditional dishes for hours while life’s passing me by! 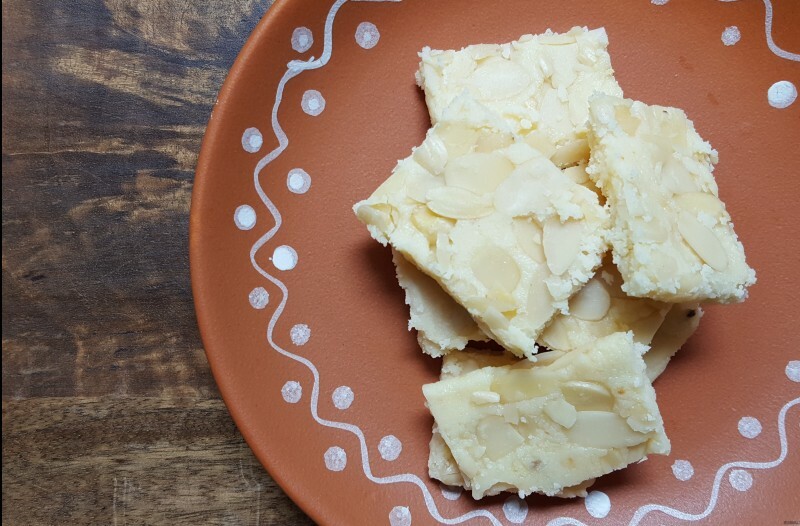 Cardamom-scented creamy ricotta burfi with just a hint of sweetness, topped with toasted almonds. 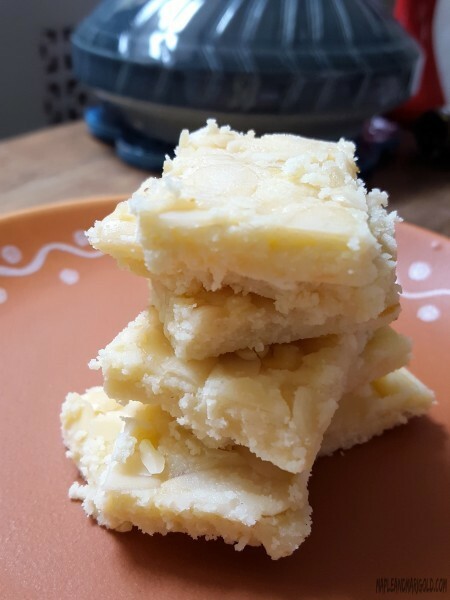 This Indian sweet has a fudge-like texture and making it at home means I can control the sugar and fat that’s added in. Voila! A healthy Indian dessert that your friends and family will fully appreciate – I have seen it happen, I promise! But before you make the burfi, there is the khoya. It sounds intimidating but stay with me. Khoya forms the building blocks for many many Indian sweets and even some savoury dishes. So I thought if I could get making Khoya right then I was set for a series of dishes. 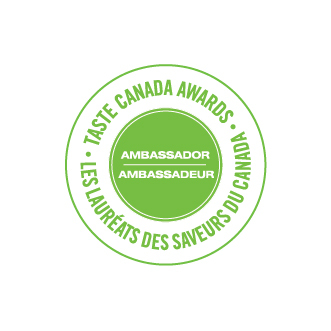 And if I could take shortcuts without compromising on the flavour then that would be a win, wouldn’t it? After some Google searching and much experimenting, kudos to the recipes out there especially this one from Ruchi’s Kitchen, in the end I was shocked it was so easy. Making homemade khoya does take time and patience, and since I have little of either I took a leap of faith one night as I was getting dinner ready for the kids. 40 mins and some occasional attention later – delicious from scratch khoya! Bring the pan to medium heat along with the butter. Pour the ricotta and stir it around. After a few seconds turn the heat down to just below medium. Stir and fold over the mixture occasionally making sure the khoya doesn't brown at all. Continue cooking till the liquid evaporates and the smooth texture of the ricotta takes on a more granular look. Approx. 30-35 mins. After the mixture has cooled down, you can put it in the fridge in a tightly sealed container for upto 4 days. I hear this mixture freezes really well too. If you’re making the burfi the same day you can just use the same pan and continue the steps below. Start a pan on medium heat and add in a pat of unsalted butter. Add the khoya, stir and break it up a little. Stir and fold repeatedly till the sugar has melted and blended well with the khoya. The mixture should not brown at all. Once blended well turn it off and let the fudge cool down. In the meanwhile set up a plate with parchment paper. Lightly toast the almonds for the burfi topping. Slivered almonds don't take too long. 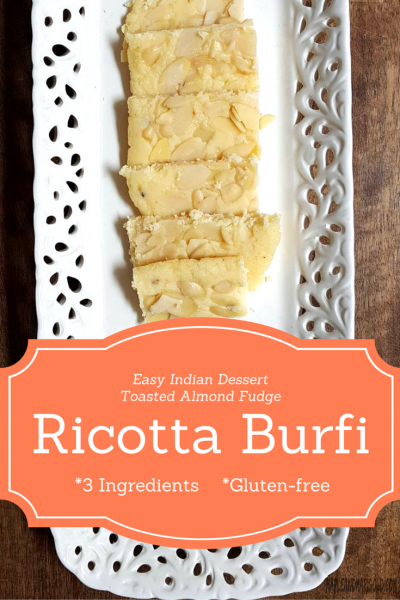 You could top the burfi with untoasted nuts but the nuttiness flavour will not be the same. Spread the burfi mixture on the paper in a layer approx. 1/2 in deep. Top with the almonds and even out. Cover it and refrigerate for a few hours. Slice with a sharp knife in the shape desired. Squares and diamonds work well. That looks yummy and so simple! Havent eaten burfi in ages but this makes me want to make some right away. This looks great. Pinning the recipe and will be trying it soon. Thanks for sharing! What do you mean by a pat of butter? How much butter is it?